The intermediate unit is located at Quartermile, a leasehold commercial development located in Bayan Baru, Penang. The 1.5-acre development comprises 15 units of shopoffices ranging between three to five storeys. Next to Quartermile is the One Precinct shopping mall consisting of retail and office units. According to Mayzel Wong from Khoo & Associates Realty who concluded the rental deal, the new tenant of the first floor (second storey) space will set up a baking and culinary academy to offer baking courses. The tenant likes the place for its spacious interior, good location and the various amenities nearby, she added. 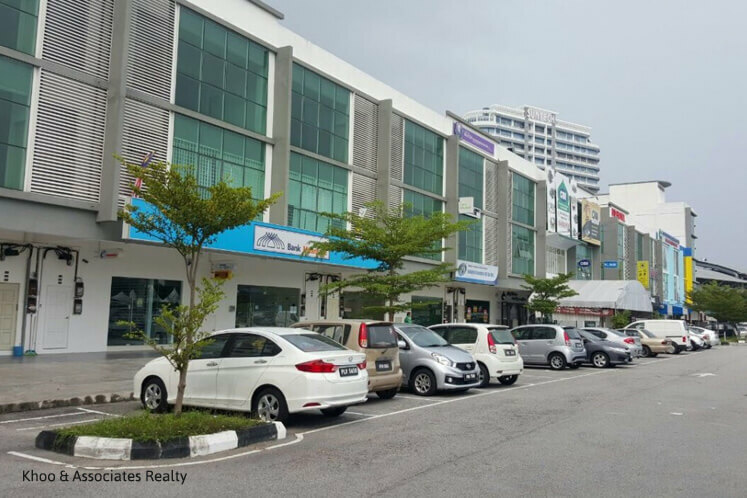 Wong noted that although parking might be a problem, shoplots in this area are in good demand as it is a vibrant business hub just 10 minutes from the Bayan Lepas industrial area. There are also some high-rise developments nearby, such as D’Piazza Condominium and Elit Heights. She said the asking monthly rent for ground floor spaces at Quartermile is about RM6,000, the rents for the first and second floors are about RM3,000 and RM2,000, respectively. In this deal, the monthly rental of the first floor is RM2,700 a month under a three-year contract. Available rental listings on TheEdgeProperty.com show that the asking rentals of the first floor space in the three-storey shopoffice units are from RM2,500 to RM3,000 per month. Interested to rent industrial properties in Bayan Baru? Click here.